On-demand – think Uber and taxi-hailing apps – is huge worldwide. In the United States, the on-demand economy is booming, with funding for the sector reaching almost US$10 billion since 2010. There is increasing evidence this process is happening in Africa too. Uber, active in Africa in Kenya, Nigeria and South Africa, gets most of the attention in this respect. Yet there are a myriad of other taxi apps, notably Easy Taxi, Maramoja, Snappcab and Taxify. Beyond taxis, however, Africa’s on-demand economy is also booming. We take a look at five of the best outside the taxi sector that are making waves. Like Uber, but for motorcycle taxis, and with a twist. The SafeMotos app went live only this week in Rwanda, but with US$85 000 already secured in funding, the team behind it is already plotting expansion across the continent. 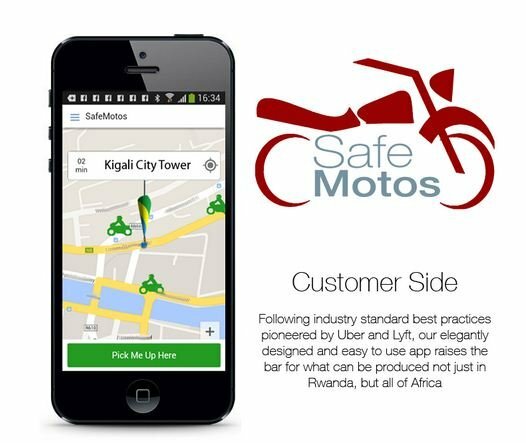 The SafeMotos app at its core is Uber, allowing users to request motorcycle taxis via their smartphone, after which they pay using automated mobile money or cash. But moving away from the Uber model, the startup has also developed a safety proposition designed to tackle the road safety issues that surround motorcycle taxis in Rwanda and elsewhere. Learning from the vehicle telematics industry, SafeMotos uses a driver’s smartphone to track driving habits and register data, pushing bad drivers onto the outskirts of the system. There are 20,000 motorcycle taxi drivers in Kigali, but the startup is already looking wider targeting the likes of Uganda, Benin and Nigeria. Uganda’s version of Uber for motorcycles, SafeBoda, is also paying off for both customers and drivers. In South Africa, WumDrop is an on-demand couriering startup. 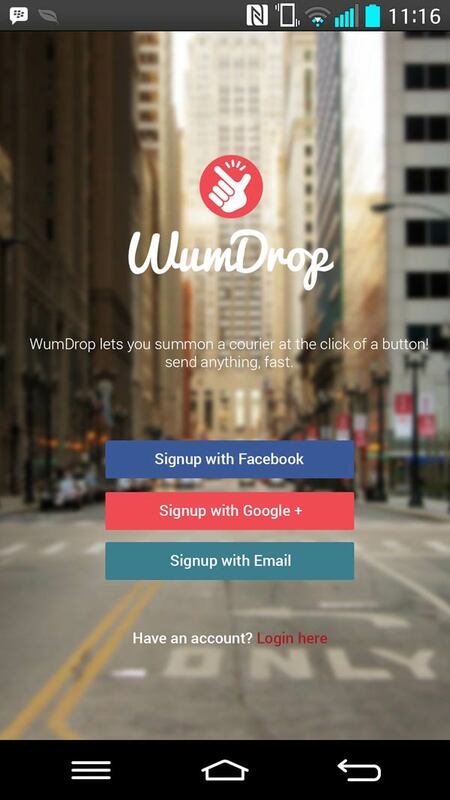 Via web, Android app or iOS app, WumDrop allows users to request a courier. Drivers receive and accept requests, before collecting and delivering the requested item. A user is billed ZAR7 per kilometre, with WumDrop using both professional drivers and students. As with many on-demand startups, WumDrop has proved popular with investors, raising US$37,000. It is currently live in Cape Town and Johannesburg, but is planning on rolling out across the country. On-demand has also made it into the restaurant sector, with hellofood getting much attention across Africa. However, more local versions exist. In Kenya, Yum has been operating since 2012. 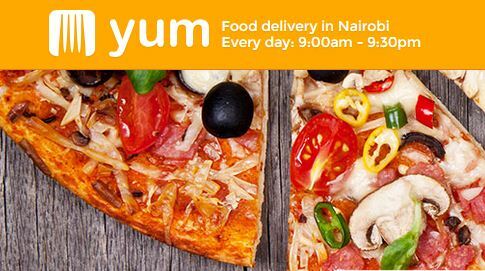 The startup allows users to order food from any of around 70 restaurants across Nairobi. Food is then delivered to the customer’s door and paid for using cash. There are benefits for both customer and restaurant owner. The customer is spared Friday night traffic in Nairobi, while restaurants are given a new marketing angle. Yum is considering branching out into supermarket food delivery as well. One company already active in the food delivery space is Supermart.ng, launched in Lagos, Nigeria. The startup allows users to order groceries from leading supermarkets, such as Park ‘n’ Shop – SPAR, MedPlus, Office Everything, Mega Plaza, 9 – 7 and Chi-Shoppe, with food then delivered to the customer’s home. The startup recently rolled out a Prime service, which allows customers to pay a lump monthly sum for their deliveries, cutting down costs for frequent customers. In South Africa, SweepSouth is tackling the country’s largely unreformed domestic services industry, offering a platform that allows ​users to book home cleaning services from their ​phone, laptop or tablet. The service connects homeowners with a reliable, vetted and insured cleaner within minutes. Cleaners on SweepSouth cost USS$3 (R38) per hour, with the startup now active in Cape Town, Johannesburg and Pretoria. It too has proven popular with investors, raising a funding round recently to accelerate its growth. Tom Jackson is a tech and business journalist and the co-founder of Disrupt Africa. Admiring paintings or photographs by Africa’s greatest contemporary artists is a luxury in Benin, where museums are scarce and most people lack money to travel farther afield. But a new application developed by a foundation based in Cotonou, the largest city in this West African state, is seeking to bring art to the masses by allowing anyone with access to a printer and smartphone or tablet to turn their place into a museum. “For 10 years, the Zinsou Foundation has been striving to bring contemporary art to people who don’t have access to it because we think culture is a right, not a luxury,” said Marie-Cecile Zinsou, the Franco-Beninese head of the foundation that created the “Wakpon” app. Budding art enthusiasts need only print out colourful images available on the app’s website onto pieces of A4 paper and hang them on the walls of their home, school or government building – just like paintings in a museum. Visitors can then aim at these images with their smartphones or tablets using the app, and a painting by Benin’s voodoo artist Cyprien Tokoudagba or a photo of Nigerian hairstyles by J.D. Okhai Ojeikere will pop up, alongside information on the work of art. All in all, 44 pieces by 10 artists are available on the app, all taken from the foundation’s collection. Zinsou said she convinced her father, who has just been named Benin prime minister, to set up the foundation after she realised that like many other African countries, there were no museums in Benin to showcase the continent’s contemporary art, despite its growing popularity elsewhere. Leading African artists were virtually absent from art sales just a decade ago but now contemporary works feature strongly in several international auction houses. Bonhams in London recently described the continent as “one of our hottest properties on the art block”. Since 2005, the foundation’s show room in Cotonou puts on free exhibitions of Beninese and foreign artists, and once showcased US legend Jean-Michel Basquiat – a first in Africa. In 2013, it opened a museum in an old building of the former slave trade hub of Ouidah, some 40 kilometres away from Cotonou. All in all, nearly five million people have visited both places in a decade – most of them them children who often come the first time with their schools, return on their own and then bring their families. Zinsou said the Wakpon app – which once downloaded does not need to be connected to the Internet – aims to widen access to a broader population. Mobile phone penetration has been low in Benin, particularly for smartphones, because of poor infrastructure. But competition from international mobile operators and under-sea cables is increasing take-up, as prices come down for both handsets and Internet services. 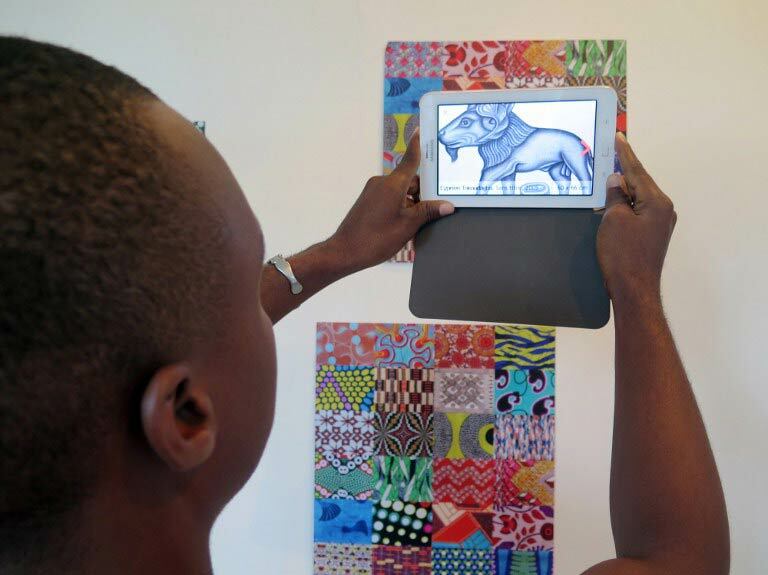 “This application is amazing,” said Beninese artist Romuald Hazoume, whose work has been showcased abroad and is also available on the app. “African people will be able to have access to their culture, to their artists who are known around the world but whom they cannot see due to a lack of exhibition sites, of money or visas. In the Cotonou showroom, those who visit are given a Wakpon demonstration at the end of their tour. “Wakpon” means “come and see” in Fon, the most widely spoken local language in Benin. “It’s great. My cousin has a good telephone, I’m going to plead with him to activate the application and our entire district will take a look,” says Obed, 15, who came with his class. Zinsou said people in Africa had a tendency to think that culture will emerge only once their countries are developed. “But no, culture is essential for development,” she added.